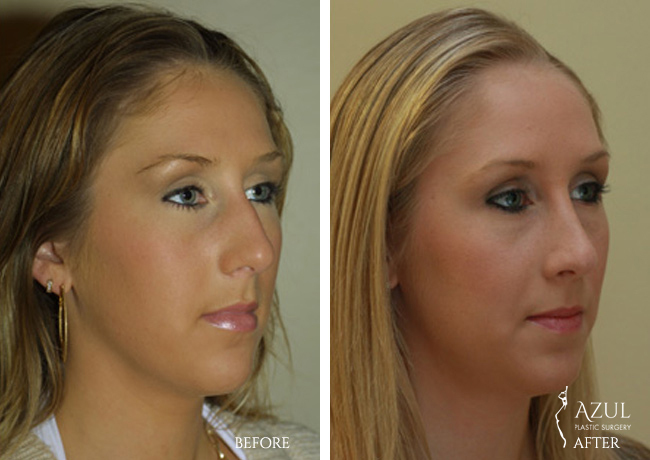 Rhinoplasty (nose reshaping) is among the most popular plastic surgery procedures performed in the United States. 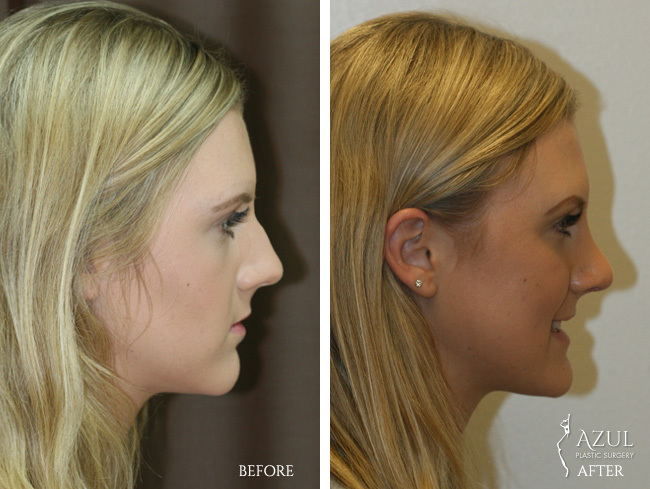 Through rhinoplasty, a skilled plastic surgeon can reduce or increase the size of the nose, remove an unwanted hump, reshape the tip or the bridge, narrow the width of the nostrils, or change the angle between the nose and the upper lip. 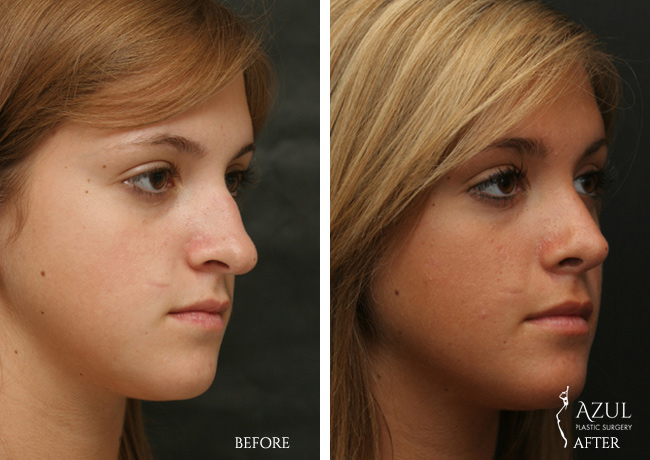 Rhinoplasty provides an improved balance between the nose and other facial features. In addition to these enhancements to appearance, it can also be undertaken to effectively improve a patient’s ability to breathe. 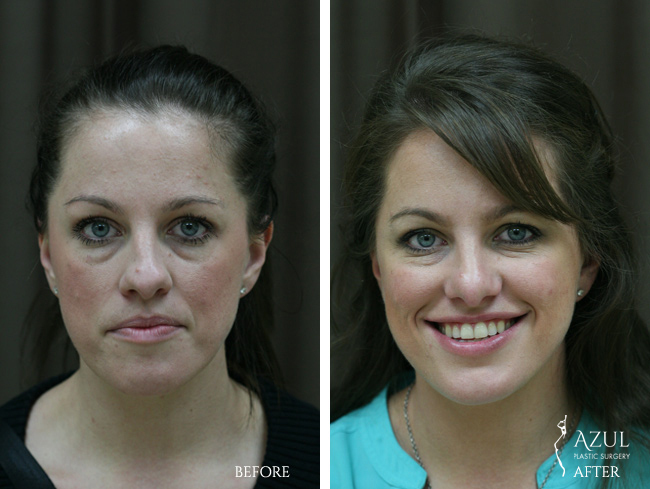 We take great care to achieve a natural result and to avoid the “surgical” look. 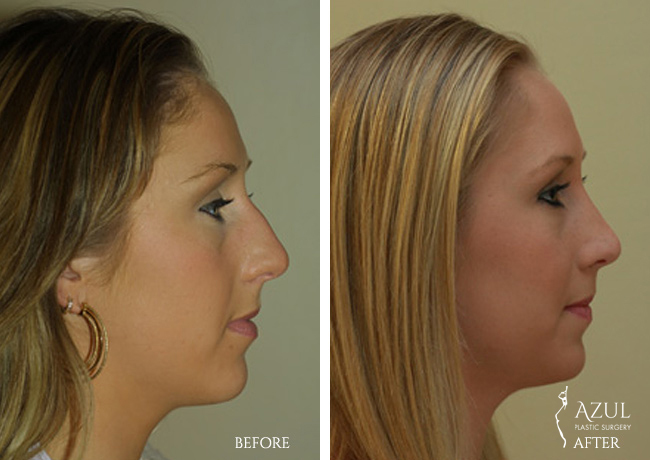 Rhinoplasty provides an improved balance between the nose and other facial features. In addition to these enhancements to appearance, it can also be undertaken to effectively improve a patient’s ability to breathe. 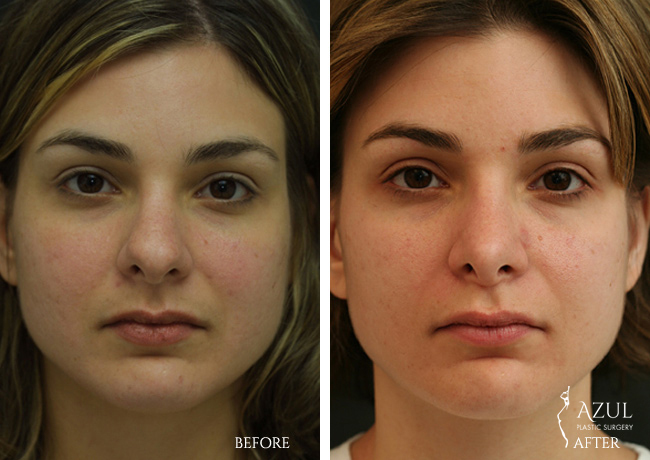 We take great care to achieve a natural result and to avoid the “surgical” look. 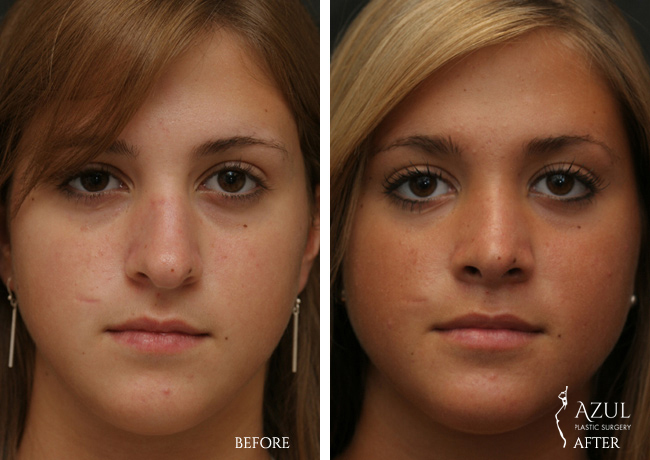 Dr. Jaffer’s many rhinoplasty patients have found a greater sense of well-being as a result of the procedure as well as through Dr. Jaffer’s caring guidance. 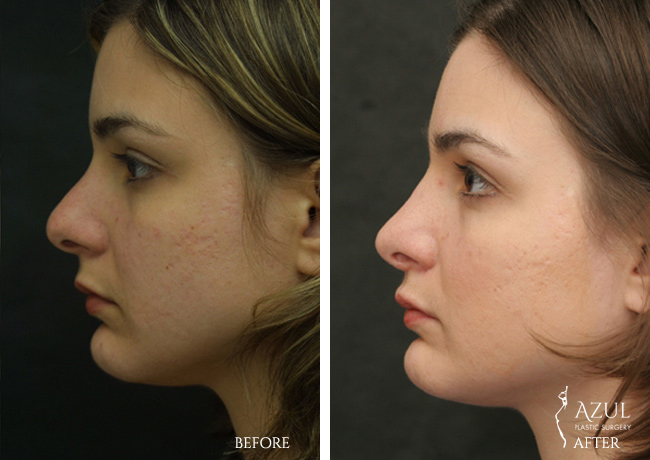 Dr. Jaffer is a double board-certified Houston Rhinoplasty plastic surgeon, whose practice has grown through the results he’s achieved for his clients. 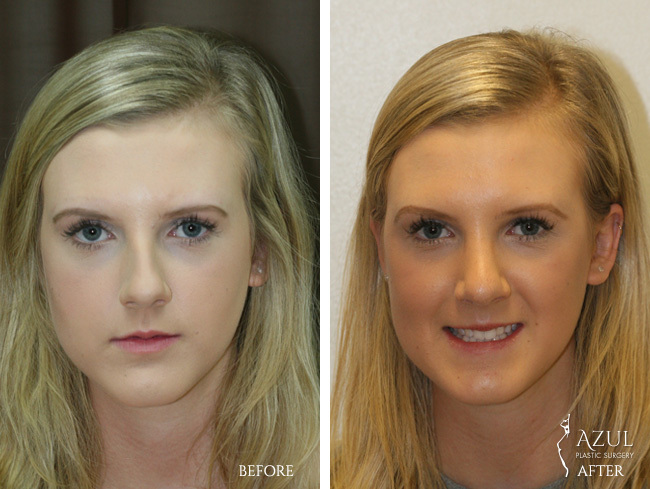 At your consultation, Dr. Jaffer will personally discuss your desired rhinoplasty outcome, and provide his own professional analysis as a nose plastic surgeon and artist. He listens carefully to every patient in order to achieve a look that is always natural, beautiful and ideal for each patient. You can also trust that Dr. Jaffer will provide honest, caring advice – your partner in getting the best results from your procedure and for life. 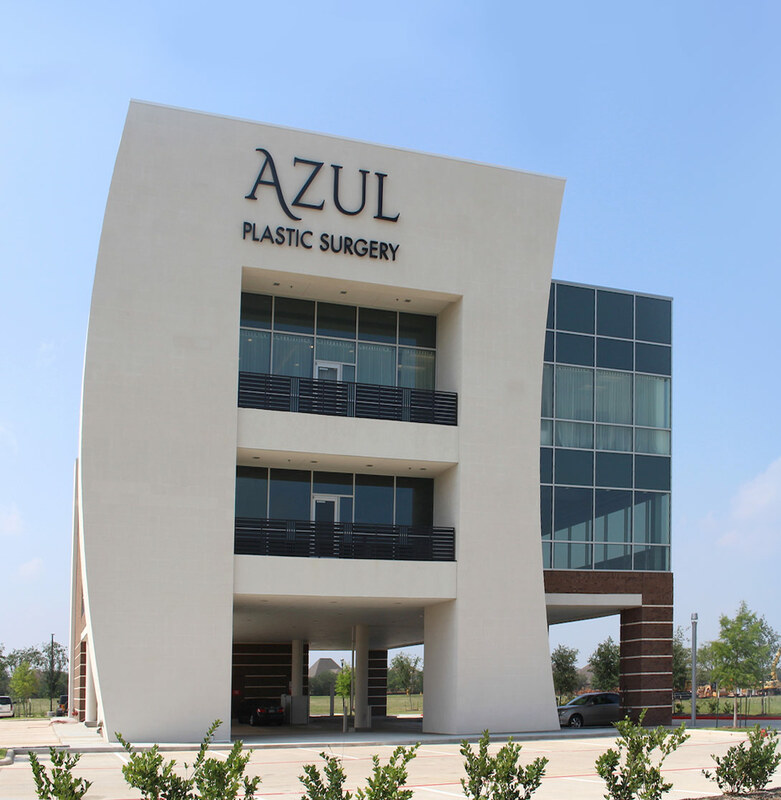 At Azul Plastic Surgery we are committed to helping you achieve the best possible outcome in your nose job/rhinoplasty surgery. Located in Sugar Land, we serve clients throughout the greater Houston area. We also have a large number of clients from outside the area owing to Dr. Jaffer’s excellent reputation. 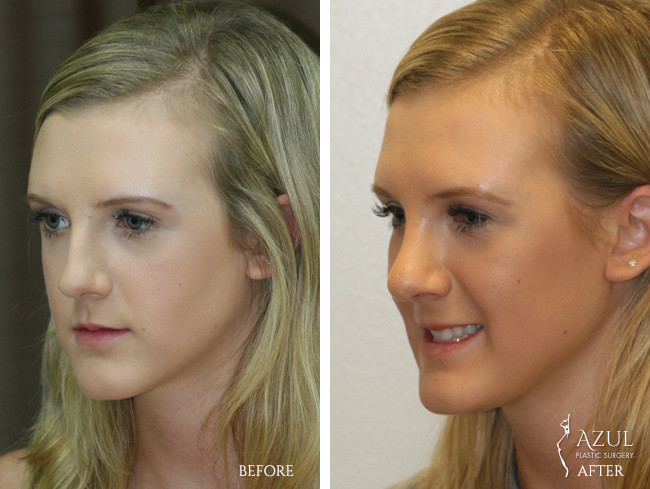 Who is a candidate for Rhinoplasty (nose job) surgery? 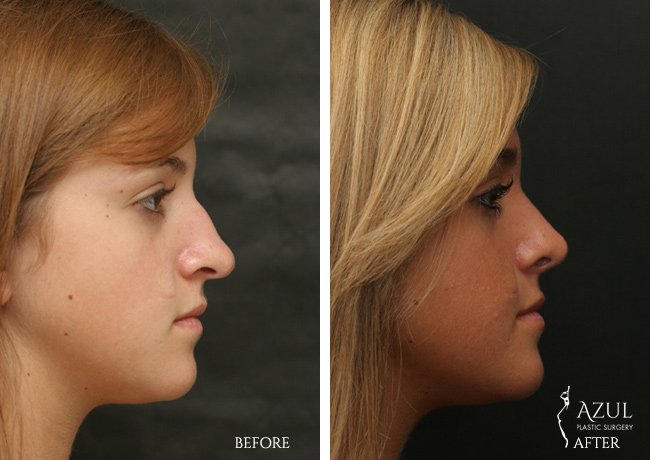 You may wish to consider rhinoplasty/nose reshaping to address aesthetic concerns and/or respiratory issues. 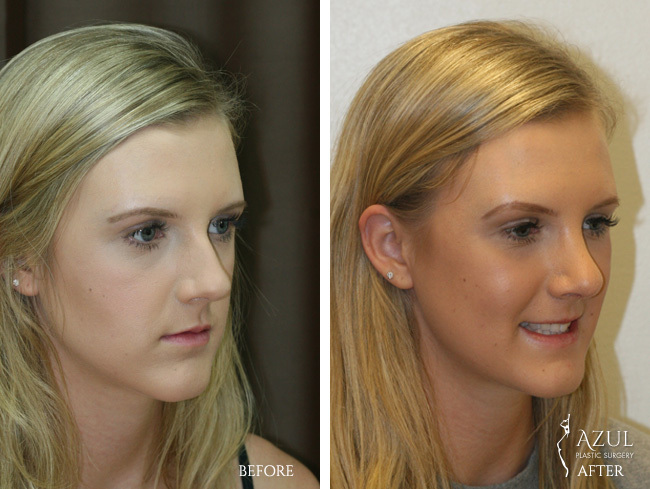 The most common reason for seeking rhinoplasty is cosmetic, where an individual is unhappy with the general size and shape of the nose and desires it to be brought in harmonious balance with other facial features and proportions. Some patients may have an abnormal appearance of the nose as a result of birth defects, injury, or disease. 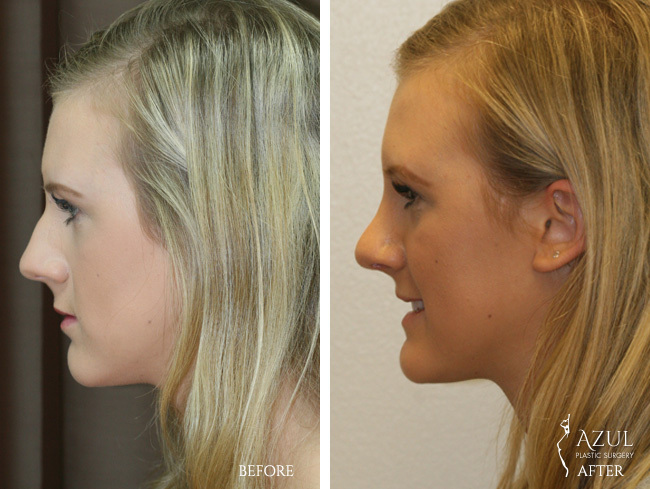 What is Rhinoplasty surgery and recovery like? 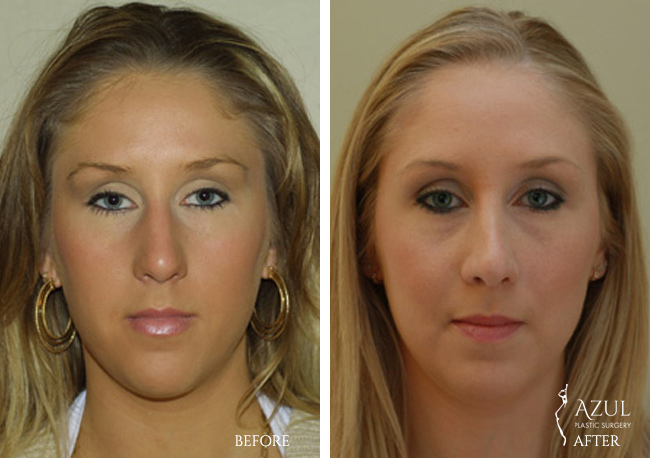 The rhinoplasty procedure is done on an outpatient basis under MAC (Monitored Anesthesia Care). 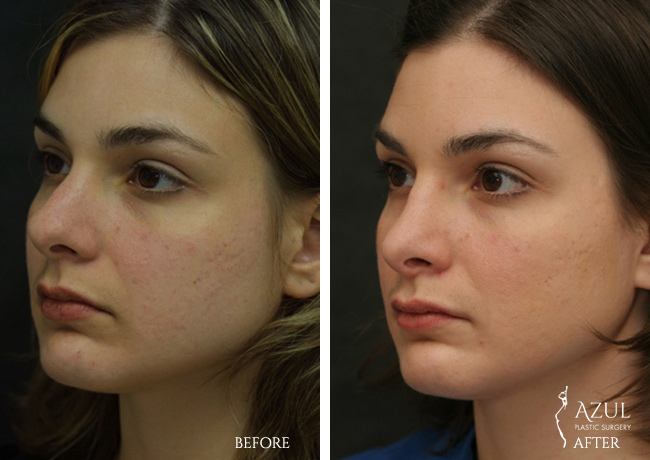 After rhinoplasty, a patient goes home with an external cast or splint in place. The nose may be packed for 24-48 hours. The cast or splint is usually removed in 7-10 days. Initial discomfort is easily controlled with oral medication. Majority of swelling and bruising subsides progressively over 2-4 weeks. External sutures (if any) are removed in 4-6 days. Internal sutures dissolve. Semifinal result is evident in 3 months. Final result is evident in 12-14 months. Insurance will not cover this cosmetic procedure.